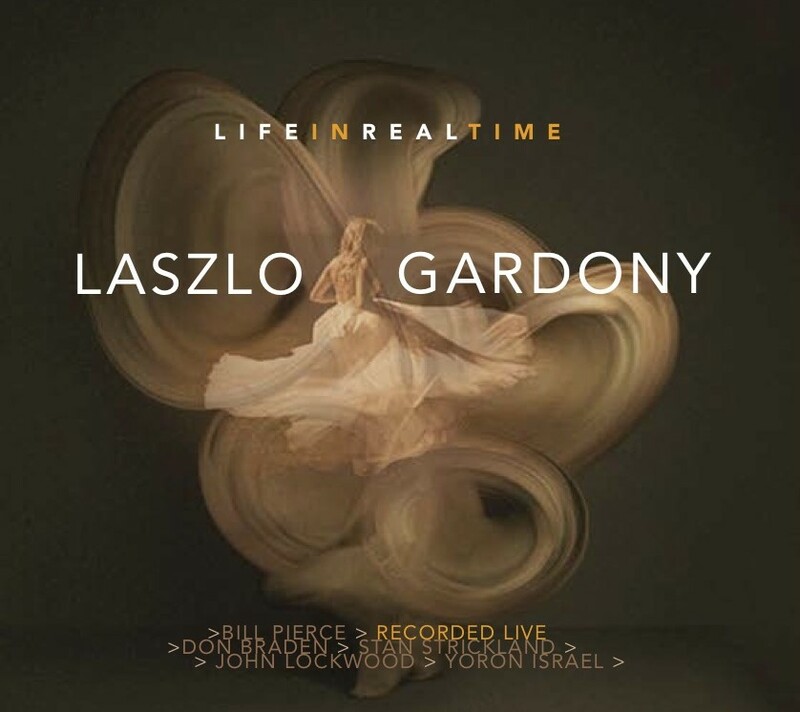 Rather than an all-star blowing session, Life In Real Time introduces an ensemble that breathes, phrases and reacts as one, reveling in the knifepoint balance between structure and freedom afforded by Gardony’s arrangements and bandleading sensibility. Indeed, part of what makes the album so much more than the sum of its considerable parts is the rhythm section’s extraordinary rapport. 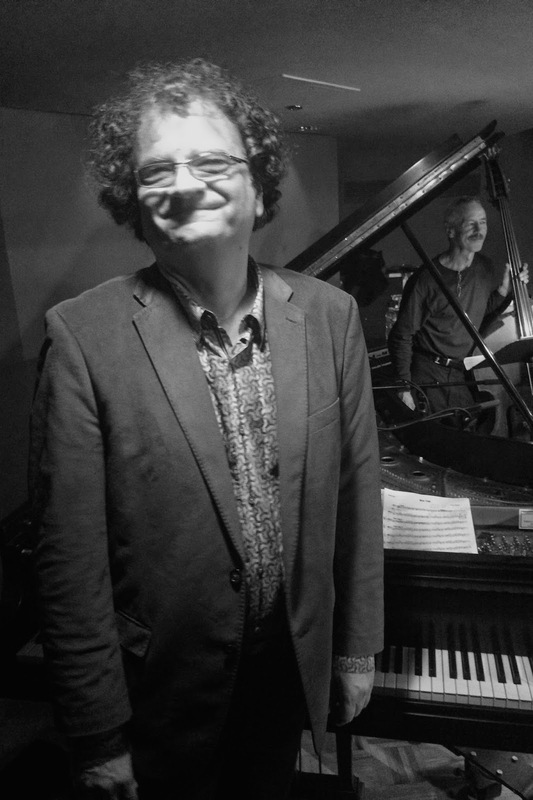 Gardony’s long-running trio with bass master John Lockwood and drum maestro Yoron Israel has forged a soul-deep bandstand communion over the past 13 years, an almost telepathic bond captured on three critically acclaimed Sunnyside albums. The trio is directly responsible for the loose and limber feel of Life In Real Time, where three immediately recognizable saxophone stars “can feel free to be themselves in the music,” Gardony says. And what horn players! Most conspicuously, the album marks the reemergence of the great Billy Pierce, a player who established himself as a commanding improviser during his years with drum legends Tony Williams and Art Blakey (who called Pierce “my best tenor player since Wayne Shorter.”) He sounds more formidable than ever with his thick, muscular sound and driving rhythmic attack. While Stan Strickland is best known as a startlingly inventive post-bop tenor saxophonist, he’s a polymathic creative force who also works as a singer, actor and art therapist. 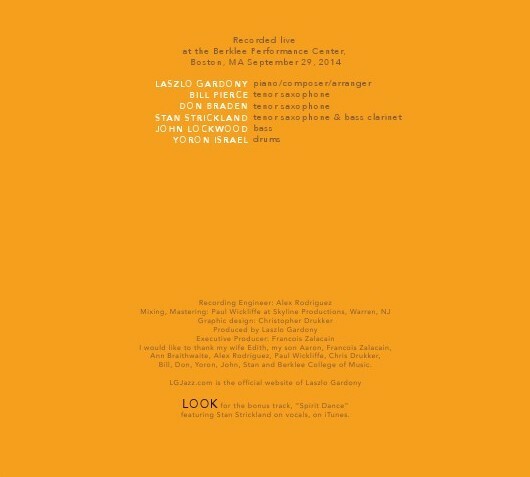 Gardony’s longtime friend and Berklee colleague, Strickland contributed memorably to the pianist’s 2011 Sunnyside album Signature Time with Lockwood and Israel. It was Israel who suggested adding Don Braden to the mix. 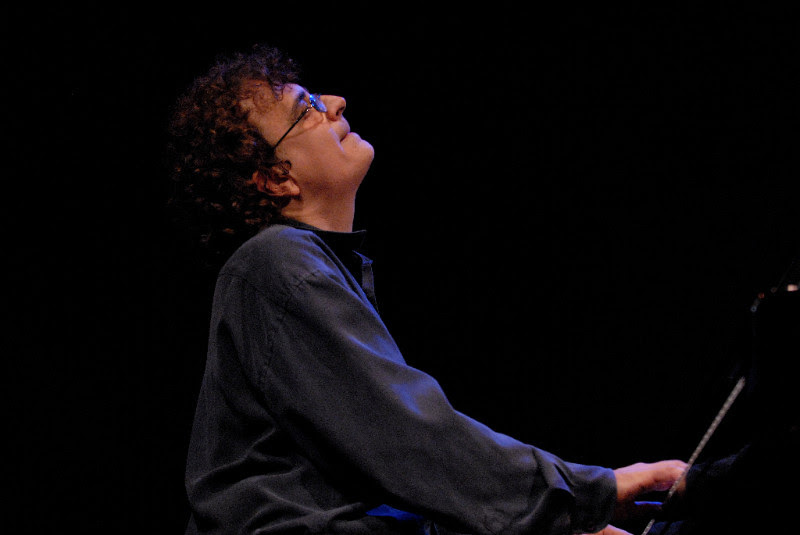 The album’s only Berklee ringer (he’s the director of the Harvard Monday Night Jazz Band), Braden was in Wynton Marsalis’ band, has performed with Freddie Hubbard and Tony Williams, and is featured on some 20 albums as a leader. 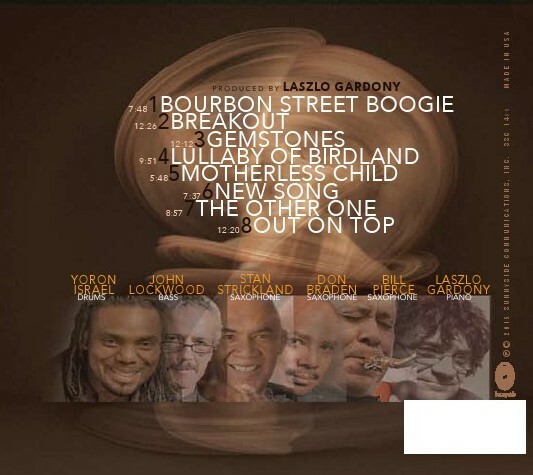 Focusing on Gardony’s emotionally charged original compositions, the album opens with his rollicking “Bourbon Street Boogie,” which evokes the raucous, celebratory energy of New Orleans. Pierce takes the first solo, a rhythmic tour de force that makes a compelling case for him as one of jazz’s most under-documented masters. Israel introduces the relentlessly driving “Breakout” with a beautifully calibrated solo passage. The piece builds momentum through a series of tag-team solos until its ecstatically cathartic climax. Strickland’s bass clarinet is featured again on Gardony’s West African-derived ballad “New Song,” a tune introduced as a trio piece on the album Dig Deep. With its meditative, cyclical feel, the ravishing melody calls out for lyrics. The album closes with “Out On Top,” another piece from Dig Deep that gains momentum as it hurtles toward a deliriously celebratory all-horns-on-deck conclusion. This was one set that clearly left the audience wanting more (in fact, there’s a bonus track from the concert available on iTunes). 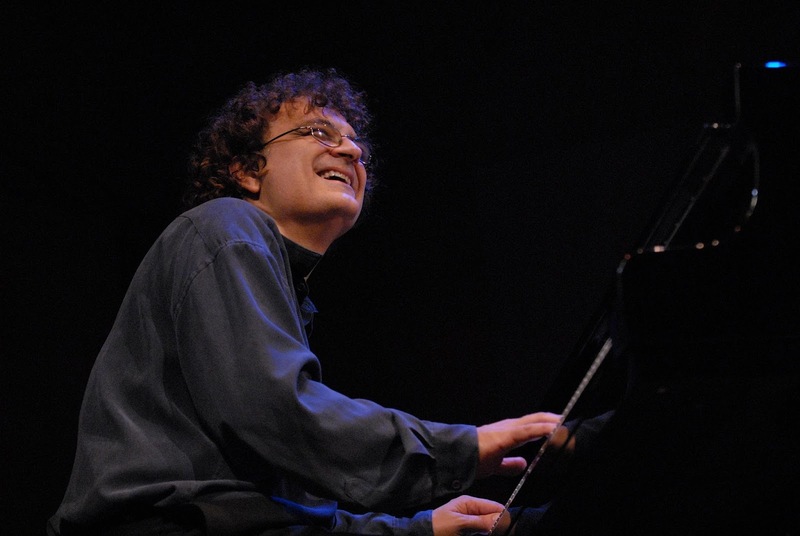 After graduating from the Bela Bartok Conservatory and the Science University of Budapest, he became one of Europe’s most sought after accompanists and released his first albums as a leader. Possessing a powerful sense of swing, a strong feel for the blues and a firm command of post-bop vocabulary, he gained invaluable insight by sharing festival stages with Art Blakey’s Jazz Messengers and Abdullah Ibrahim, among others. In many circles Gardony is best known as a master of the trio format. 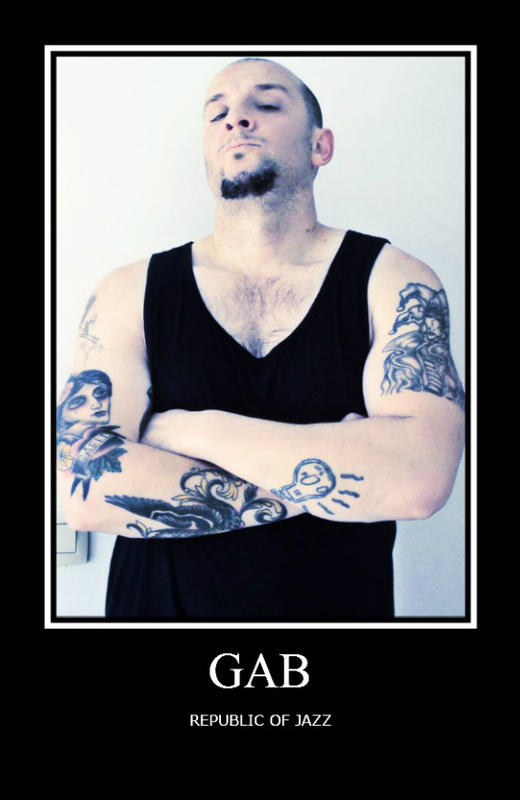 He introduced his present band with Israel and Lockwood on the 2003 Sunnyside album Ever Before Ever After, and it’s gained recognition as one of the finest working bands in jazz. But he’s equally impressive alone at the piano, the format he first explored on 1993’s acclaimed Changed Standards and returned to again on his last album, 2013’s Clarity (both on Sunnyside). 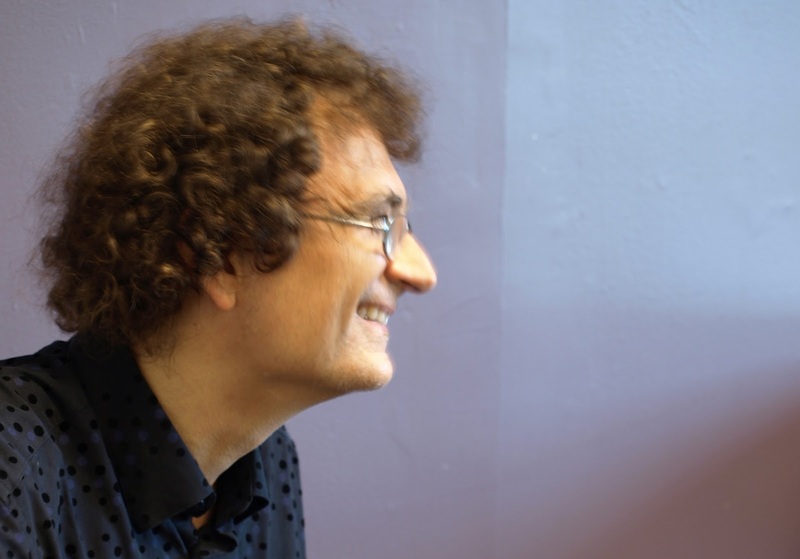 After the probing introspection of a solo recital it seems fitting that Gardony returns with a bandstand bash that captures some of jazz’s most eloquent raconteurs inspiring each other to ever more vivid tales. In short, Life In Real Time is jazz that’s the real deal. It is easy to misconstrue a name, especially when it is so obviously tied to politics and racial identity. Born during an important period of Black identity in the arts in the early 2010s, Black Art Jazz Collective brings together an accomplished ensemble of young African American musicians who felt that it was necessary to celebrate Black culture in a positive way. The focus on camaraderie between members who grew up playing music together comes through in their music. The Collective was co-founded by drummer Johnathan Blake, saxophonist Wayne Escoffery and trumpeter Jeremy Pelt. All graduating from esteemed music programs in the Northeast at the same time, the three quickly became ingrained in the New York jazz scene as leaders and invaluable members of ensembles led by legends like Tom Harrell, Bobby Hutcherson, Wayne Shorter and Ron Carter. The first addition the trio made was the great bassist Dwayne Burno, an individual who really espoused professionalism and dedication to his friends. Being older than the others, Burno’s influence and attention made an impact on all of them. The ensemble also featured trombonist James Burton III (an adherent of the school of Curtis Fuller and J.J. Johnson and another Jackie McLean alum) and the great pianist/composer Xavier Davis. 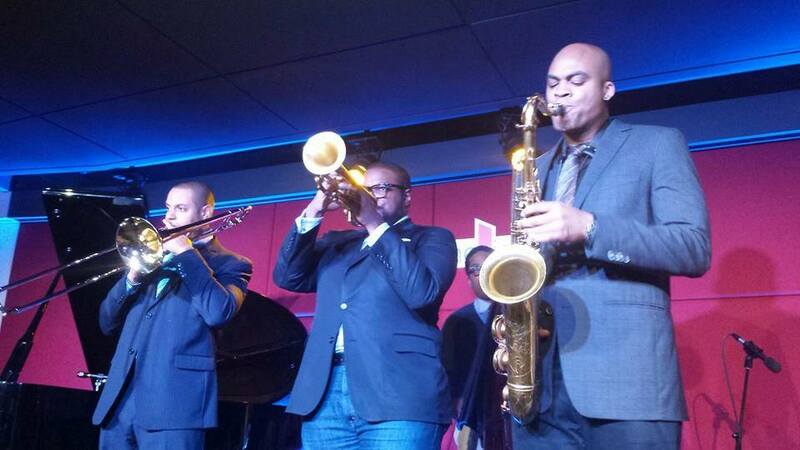 The Black Art Jazz Collective’s first performance was at Dizzy’s Club Coca Cola in April 2013 with Burno. His passing in the following December was a shock and upset the jazz world, not to mention the Collective. 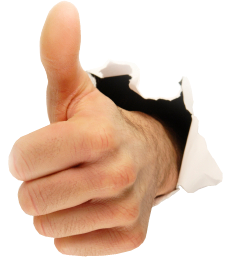 It would prove to be a challenge to find a replacement for Burno. It wasn’t until Pelt recommended Vincente Archer that the group found a perfect replacement, one who had connections to all the members and who was influenced by Burno. 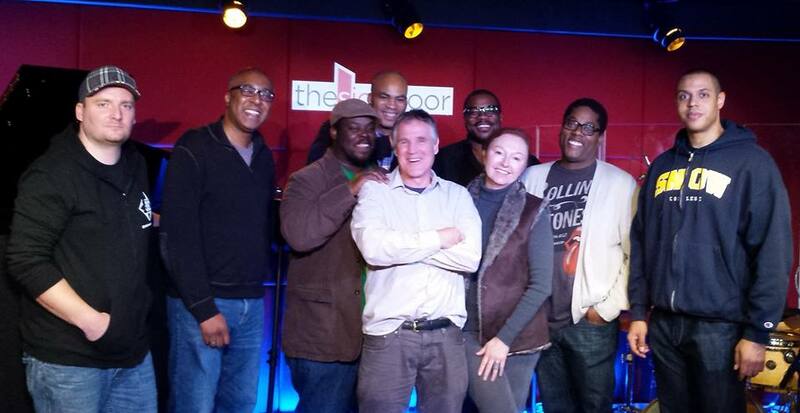 A great opportunity came by way of Ken Kitchings and Jan Mullen of The Side Door Jazz Club in Old Lyme, Connecticut, namely a two-night gig and an opportunity to record with the venue’s new recording equipment. Kitchings and Mullen had expressed their love of the group and felt that it would be a perfect fit for their debut recording project. The resulting album Black Art Jazz Collective Presented By The Side Door Jazz Club is a tremendous example of the ensemble’s incredible drive, swagger and cohesiveness. The program begins with Escoffery’s dedication to W.E.B. DuBois, “Double Consciousness,” an intriguingly varied piece with verve. Written during the 2012 election campaign of Barack Obama, Escoffery’s expertly written and arranged “Awaiting Change” is followed by Pelt’s lushly played ballad, “Essence of Beauty.” Davis’s “Salvador Da Bahia” is an energetic Latin piece with some incredible solo spots. 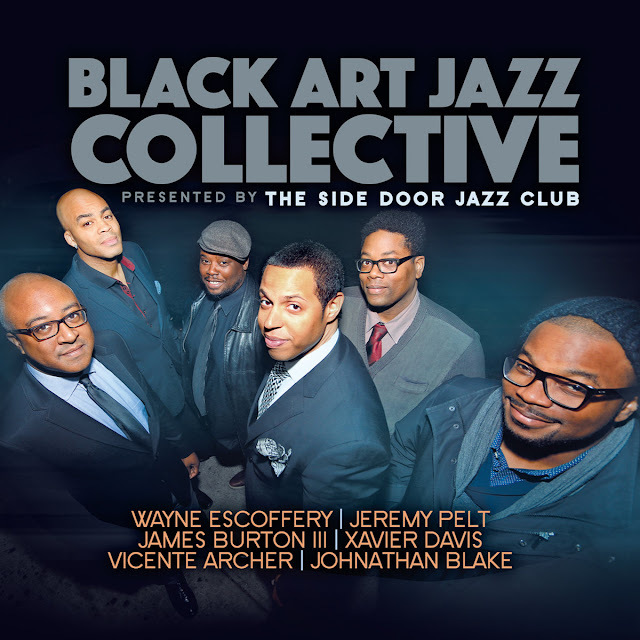 Black Art Jazz Collective came together during an interesting time, one of finding new strength and identity within America’s true art form, an African American art form, jazz. This allstar ensemble was able to come together as peers and brothers and, with the help of the wonderful leadership of The Side Door, was able to create a fantastic document of authentic and expertly wrought music on Black Art Jazz Collective Presented By The Side Door Jazz Club. 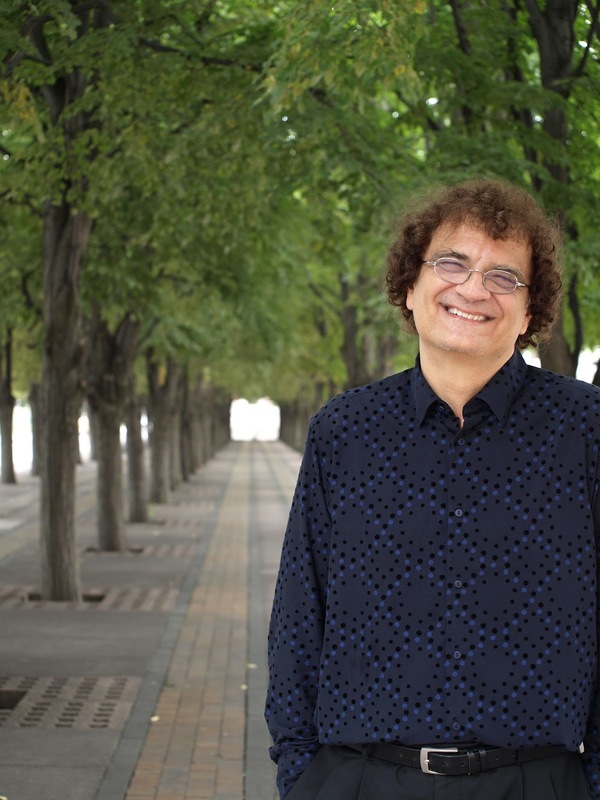 Over the past quarter century Gardony has gained widespread acclaim for a series of inspired albums documenting his trio and his riveting solo recitals. The most recent recording in his treasure-laden discography is 2015’s Life In Real Time, a thrilling live album recorded at the Berklee Performance Center at Boston’s Berklee College of Music (where most of the ensemble is on faculty). 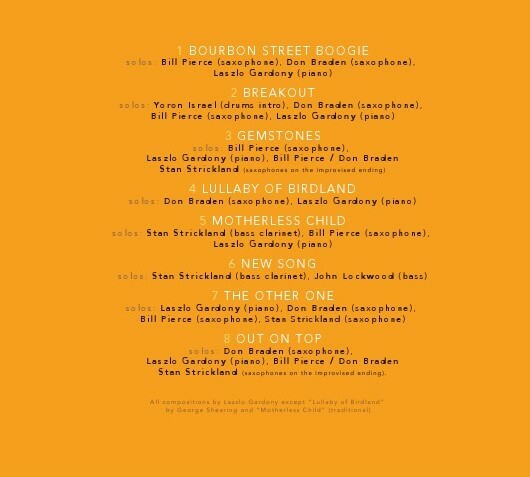 The CD was named by the Boston Globe as one the ten best jazz albums of 2015 and earned wide critical acclaim. After graduating from the Béla Bartók Conservatory and the Science University of Budapest, he became one of Europe’s most sought after accompanists and released his first albums as a leader. Possessing a powerful sense of swing, a strong feel for the blues and a firm command of post-bop vocabulary, he gained invaluable insight by sharing festival stages with Art Blakey’s Jazz Messengers and Abdullah Ibrahim, among others.